I heard, but cannot confirm, that the Souplantation in Carmel Valley, San Diego is the busiest in at least the area, if not the world. Presented without douchey comments, this picture of the line that I was almost done with after having waited 45 minutes to enter. 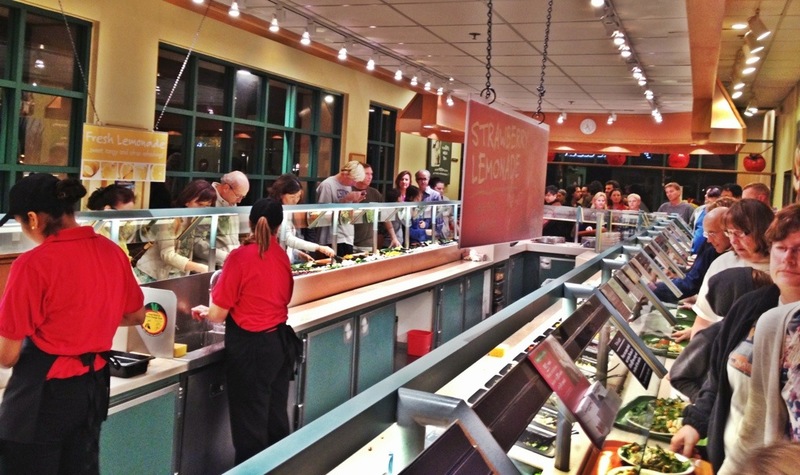 A Souplantation.